Faraday isn't too sure we should be offering guest fangs on A Tonk's Tail. And someone doesn't care! Way ta go Snotface, dood. 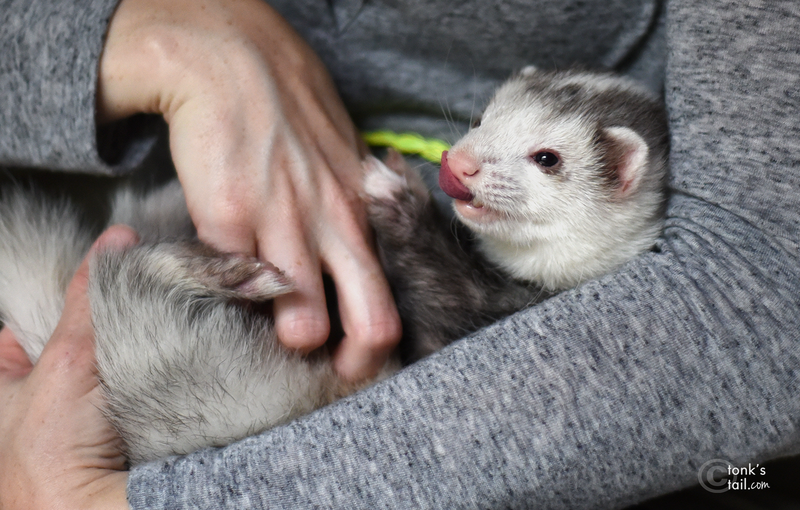 We'll call that the Ferret Raspberry Fangs! I met that guy too! I didn't hiss at him, but I had NO idea what he was! Such a cute guest star! Good gravy, who is that! Thanks for having us on Faraday!!! Awww Faraday we're sorry you got scared! Poor SnotFace - he must have thought he was going to be a snack. Sorry that Snotface made you nervous, Faraday. And gave you the raspberry, on top of it! 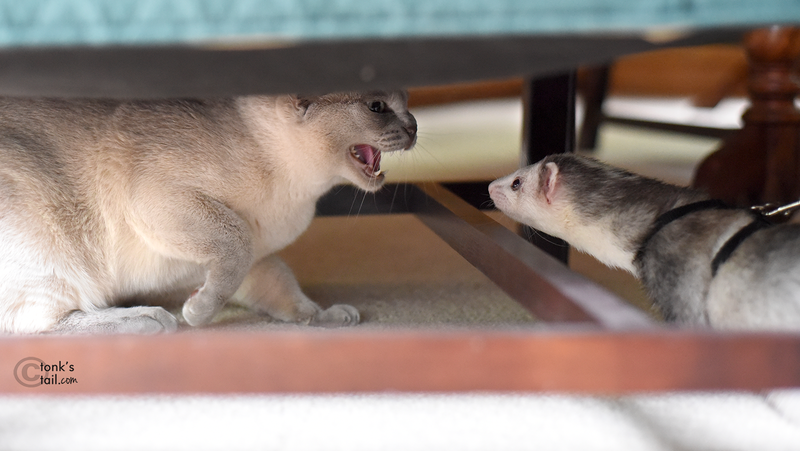 That is one brave ferret. I don't think he would survive at our house with our fangs. The ferret looks very cute and cuddly. My mum told me they have very sharp teeth though. She knows from experience! Is this a new visit or old? Ummm, mum says no to any ferret! Yous and Snot Face make quite the couple! Aww, it's Snotface, my favourite ferret! Farraday you have the coolest friends!